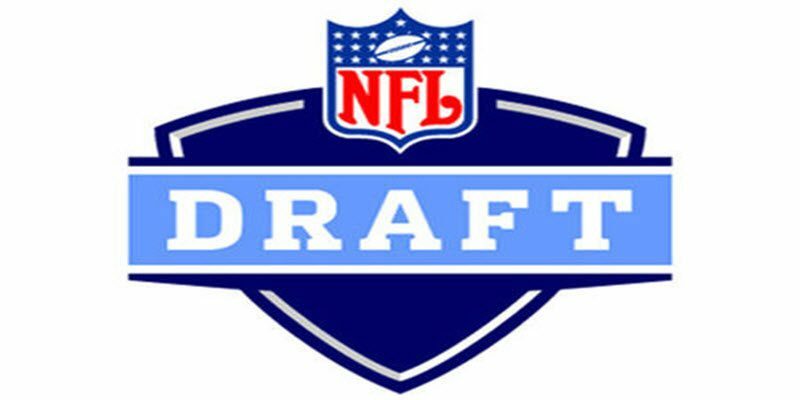 Marcus Mariota to the Titans, Arik Armstead to the Niners, Jake Fisher to the Bengals, Hroniss Grasu to the Bears, and Ifo Ekpre-Olomu to the Browns. These are the names of the Oregon players we heard called by Roger Goodell in this year’s NFL Draft. Now I think it’s obvious that Mariota was a once-in-a-lifetime player. The Ducks are also not going to have an Armstead every year, although Canton Kaumatule may be better than Armstead and former Duck Dion Jordan combined. Still, this means our expectations can’t be that Oregon is going to have two first round draft picks every year. This also doesn’t mean that we can’t have a first round draft pick every year. With that said, let’s take a look at five players that have the chance of getting drafted next year, in no particular order. Marshall can play any position he’s asked to play. 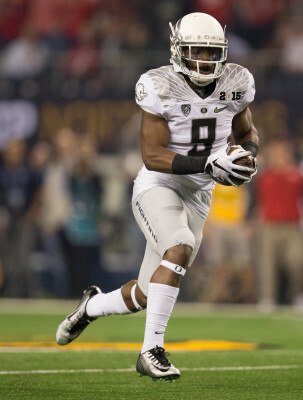 Byron Marshall: Marshall is probably one of the most exciting Oregon players this year. He is a bigger De’Anthony Thomas. Marshall is not a pure running back nor receiver, but he can play both positions. He is speedy, can break a tackle or two, and leave a defender wondering where he left his ankles. The knock is he doesn’t have a true position and he has the occasional case of the “hands like feet” syndrome. Marshall should be playing for someone in the 2016 NFL season, it’s just a question of where he gets drafted or who signs him if he doesn’t get drafted. DeForest Buckner: Buckner is the best defensive player on the roster this season, without question. His combination of size, 6’7″ and 290 pounds, and athleticism, 4.78 40 time, allows him to fly around the field. He really showed his ability in the playoff last year as he flew all over the field against the Seminoles and Buckeyes. Some scouts were saying that he would be the best Oregon defensive player in the draft if he declared last year. Yes, that means he would be better than Armstead. Buckner has been injured all spring, but once he gets healthy he should continue his meteoric rise up the 2016 draft board. Brown’s size and athleticism makes him one of the elite college football tight ends. Pharaoh Brown: I know there’s a chance Brown will never play again, but he has made it clear that he is going to do everything he can to get back out there. He has the mental determination to do this, and if he comes back showing any hint of last year’s Pharaoh Brown, NFL teams are going to be excited. Brown has exceptional size and speed, and he can block if need be. His ball skills are phenomenal and last year he was Mariota’s most reliable target on 3rd down and in the red zone. Brown is clearly one of the best tight ends in the nation when healthy, so let’s all hope he gets healthy soon. 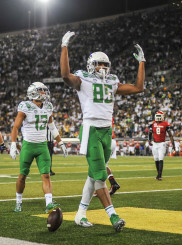 Dwayne Stanford/Darren Carrington: These two are nearly identical receivers, and their stats say the same too. They both can stretch the defense if asked, go highpoint a ball over the middle, and secure a 3rd down catch. The problem with them is they take away play-time and receptions from each other. Neither of their statistics jump out because they play in an offense that spreads the ball around to all receivers and they are so similar and interchangeable that they often split time 50/50. If one of these receivers has a breakout year, expect them to declare and then expect the other to have a big year next year. Tyner can break tackles and leave you in the dust. Thomas Tyner: Tyner may be in a very interesting position after this season. Tyner is a year older than Royce Freeman, and, as of now, is his backup. On any other team in the nation, Tyner would be the starting back without question. As a backup, he won’t get the gaudy stats, or the play-time usually necessary for a running back to get drafted, especially since running backs are a dying breed in the NFL. Tyner has the size and speed to play in the NFL and he can run between the tackles or outside the hashes; teams just have to look past the fact that he is a backup. This is going to be one of the most difficult decisions Tyner is going to have to make, but he definitely has the potential to have a successful career in the league. There’s your top five, or six, NFL Draft prospects for 2016. If I were to do this again right before the season started, you would see highly anticipated Eastern Washington transfer, Vernon Adams, listed, but since he isn’t a Duck yet, he’s not a Duck draft prospect. This year’s draft saw five former Ducks get drafted. Next year, you may see zero, two, five, or seven, or more! Either way, this season should be exciting, and many NFL scouts will be closely watching our high-flying Ducks closely.